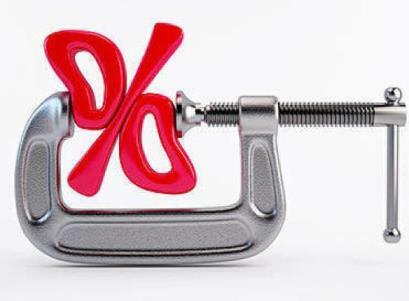 Following the decision of quarterly revision of applicable interest rates on small savings schemes, the Finance Ministry of India has once again reduced the interest rates by 0.10 percent for the 3rd quarter starting from 1st October to 31st December. Small Savings Schemes includes Public Provident Fund, Sukanya Samriddhi Account Scheme and Post Office Deposits such as Kisan Vikas Patra, Senior Citizen Savings Scheme and other time deposits. The rate cut is in line with the recent issue of new series of benchmark 10-year Government Bonds at below 6.97 percent yield which is lowest yields since 2009. The lower yield rates reflect the higher liquidity in the market, thus bringing down the rates keep liquidity in control. The current yield of 10-year Government Bonds is 7.12 percent i.e. 0.15 percent higher from the new series of benchmark bonds maturing in 2026. The Revised Interest Rates on Small Savings Schemes namely Sukanya Samriddhi Account Scheme is 8.50 percent, Public Provident Fund is 8 percent, 5 years Senior Citizens Savings Scheme is 8.50 percent and Kisan Vikas Patra is 7.70 percent which increases the maturity period by 2 months i.e. 112 months from earlier 110 months. Time deposits for 1, 2, 3 and 5 years will fetch interest rate of 7 percent, 7.10 percent, 7.30 percent and 7.80 percent. Interest Rates on 5 year Recurring Deposit reduces to 7.30 percent and other small savings schemes such as 5 year Monthly Income Scheme and 5 year National Savings Certificate provides interest at 7.70 percent and 8 percent respectively. However, the interest rate on Post-Office Savings Account remains same at 4 percent.